Like many physical therapists, the physical therapists in our Cary NC clinic are proud of the skills and knowledge we possess. However there is some misconception about what a physical therapists scope of practice is. Physical therapists are adept at treating and rehabbing injuries, but that is not all we do. A physical therapists skill set differs from other healthcare practitioners and personal trainers because of our knowledge and training in human movement. While physicians are excellent at diagnosing and treating medical conditions and personal trainers or strength coaches are fantastic resources for exercise programming and improving health, fitness and performance, physical therapists are the professionals who deal with identifying and treating movement dysfunctions. What is a Physical Therapists Role? A physical therapist must assess how mobility and stability of the entire body may be playing a role in a patient’s pain or dysfunction. Taking this big picture look, a physical therapist is able to identify how lack of mobility at one joint may be causing pain somewhere else. For example too much pronation at the ankle joint while running, may cause lateral knee pain. If we just treated the knee pain without addressing the cause of the problem, then the patient may have a re-occurrence of pain down the road, or even worse, they won’t improve at all. The reason I think it’s important to point out a physical therapists role in the healing process is because most people don’t think about seeing a physical therapist first when they encounter pain. While a physical therapist may not be the ideal person to go see when you have a cough or fever, a physical therapist can provide a great service when your pain is related to your musculoskeletal or movement systems. Typically getting in to see a physical therapist first can save you time and money in comparison to the traditional routes of entry into the healthcare system. A physical therapist can help you identify the cause of you pain, and provide you with a treatment plan that can help you avoid costly medical tests and treatments like MRI’s and CT-Scans, pharmaceuticals, and surgery. How do Physical Therapists Help? 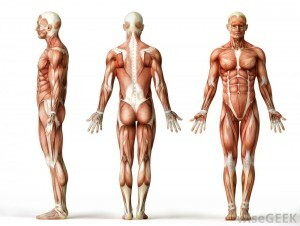 Most musculoskeletal injuries that don’t occur acutely (for instance a car accident, or contact sports injury), are caused by poor mechanics, weakness, or mobility problems during repetitive movements from our daily lives. By taking the time to listen to our patients, and looking at the way they move during a full examination, a physical therapist can correct these problems before your pain gets worse, and in some cases stop pain before it even occurs. All of this is accomplished by improving the movement efficiency of our patients. Physical therapy as a profession has evolved a lot, and will continue to produce new research and new ways to help our patients meet their goals. Defining our role in the healthcare continuum is an important step to helping our patients receive the high quality care they deserve. Physical therapists shouldn’t only be associated with injuries and rehab. Think of your physical therapist as a movement expert, who can help you treat an injury, prevent an injury, improve your athletic performance, or improve your quality of life by improving the way you move.